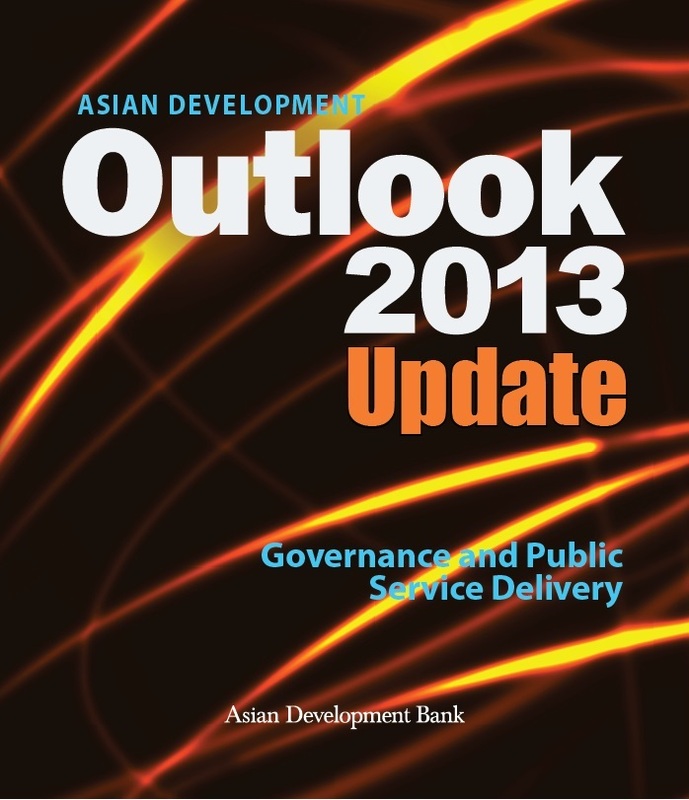 Asian Development Bank ‘s “Asian Development Outlook 2013 Update” published in October 2013 highlights the need of government reform to sustain development momentum in Asia and the Pacific. Strengthening governance is a key among reform priorities and the report identifies public service delivery as an entry point for the reform. The annual Asian Development Outlook, generally launched in April with an Update published in October, presents an analysis of economic performance and its prospects for the next 2 years for the developing 45 economies in Asia and the Pacific. In the update version, growth in developing Asia is forecast to decline marginally to 6.0%, from 6.6% for 2013 and the growth forecast for 2014 is revised to 6.2%, from 6.7%. The report cites slower growth in China and India with causes of poor infrastructure, long delays in structural reform, fiscal deficits, and decline demand for exports. The slowing growth highlights the need of reforms in the region’s economies to sustain the long-term growth. Governance is one priority areas for reform because cross-country empirical studies show that better governance correlates with faster growth and more rapid poverty reduction. As people judge the quality of governance by their experience with public services, improving public service delivery is an effective entry point toward wider governance reform. Public services are particularly important to the poor, so ensuring their effective delivery is critical for making growth inclusive. While a multipronged strategy is required to improve public service delivery, experimental evidence shows that quality improves when beneficiaries have a voice in their provision. The paper introduced three central mechanisms for public service delivery – “3 Es”. 1) Empowering citizens enable citizens to participate in public service delivery or monitor service provision, as well as demand accountability from service provides. Directly involving communities in delivering public services gives beneficiaries more information and greater say in how funds are used, thereby limiting scope for corruption. 2) Engaging local governments and private sector to expand public services. Experience shows that devolving powers to local authorities who can take on more responsibility improves public service performance. Also, teaming up with non-state providers can expand services to difficult- to – reach areas and conserve limited public funds. 3) Expanding use of information and communication technology (ICT) increases the impact of empowerment by facilitating participation in local governance and enabling fast access to information. It can also create the feedback channel to have better quality of service. Local government administration can be more transparent with squelched opportunities for corruption. Among 3Es, Expanding use of ICT should be the priority because it can complement the other two mechanisms. Good governance is necessary for sustaining development and ensuring that the benefits of growth are widely shared. Developing Asia has recognized reinforcing governance can no longer be delayed. Asia’s journey for governance reform is long and challenging, but payoffs will be substantial.